The clergy, staff and Board of Trustees at Temple Beth Am are hard at work to ensure that your worship experience here will be meaningful, and that you will feel comfortable and welcome in our synagogue facility during the Holidays and all year long. Our High Holiday tickets are "general admission" for any service. Given limited space during construction, extra tickets are available to members only. Cost is $300 per ticket. We will do our best to make accommodations for those with special circumstances and may require reserved seating - reach out to our Executive Director, Sheryl Goldman. Tickets for the full High Holiday experience are for TBA members only. For community members who wish to experience a part of the holidays with us, CLICK HERE. Traditional, spiritual, and song-filled services led by Rabbi Adam Kligfeld, and featuring inspiring davvening by our Cantor, Rabbi Hillary Chorny. The Library Minyan is a participatory, lay-led, davvening and learning community that blends traditional observance with a fully modern and egalitarian approach to Jewish living. Volunteers prepare and deliver the d'rashot, which offer personal and often unique interpretations of the Torah portions. The Beiteinu service is a spirited and participatiry service known for being informal and family-friendly. Various sections of the service are explained, and congregational participation is especially encouraged. Beiteinu meets across the street from the Temple at the Ionic Lodge with leadership by Rabbi Matt Shapiro, Dr. Rachel Lerner, and Josh Warshawsky. Hama'alot: Rosh Hashanah Day 2 at 9:30 a.m. Join us for the third annual Rosh Hashanah Hama'alot service, a 90-minute soulful, harmonic, and spiritual experience of, and investigation into the themes and liturgy of the High Holidays. High Holiday Adult Lounge: Back by popular demand! Join the learning alternative to the Musaf service during each of the High Holidays, for this interactive study session with Rabbi Yechiel Hoffman, EdD. Epic Rosh Hashanah - for Gesher-3rd graders and their families. Join Rabbi Yechiel Hoffman, EdD and the Epic team for an interactive Family Service and Activity on Rosh Hashanah Day 1 at 10am on Corning Field. 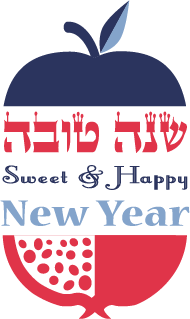 Erev Rosh Hashanah: Members and visitors are invited to begin the New Year together at Temple Beth Am. There is no charge for this service, but everyone must have a ticket for entry. Please click here to request a special pass if you are not a TBA member. TBA members may use their ALL-SERVICES ticket. Outdoor Kol Nidre Service: Community members are invited to join Temple Beth Am for our first-ever outdoor Kol Nidre Service. Everyone must have a ticket for this service. If you are not a member, you may purchase a Kol Nidre ticket here. TBA members may use their ALL-SERVICES ticket for entry. Your Latest High Holiday News!